Michael wears a black knit cap over his head and it covers the tops of his ears. He tells me the hat represents his fight against this dam disease—cancer. I begin to take photos of all the family and friends who visit. I tell him I want to have a collage of pictures that represent his journey. He gives me the “ok” knowing all along that I’ll display them at the funeral and long after he’s gone. I begin to snap pictures instead of writing. I want to tell a story, but I don’t have the time or energy to write, so I click one photo after another, trying to catch an emotion, trying to tell a story with pictures, a story about cancer and how it eats away at people, their family, and their friends, slowly with great intent of malice. An ambulance attendant pulls up in the driveway ready to bring Michael to an inpatient hospice facility. My husband has a urinary tract infection and needs intravenous antibiotics. The driver carries him in his wheelchair down the front steps, up a ramp into the ambulance, looping a belt around my husband’s waist to secure him. Click, click. I take photos. 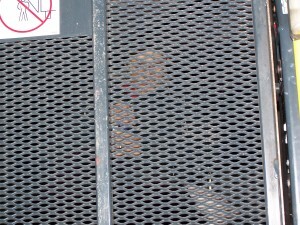 A chain link gate closes in front of Michael and I tell him he looks as though he’s in prison. We smile at each other as I click away. He forces his right arm to wave goodbye. I tell him I’ll be there soon. I love you. Click, click. For the first time in three months, Michael is able to lay in a bed, rather than a recliner chair. I sit in a folding chair at the side of his bed holding his right hand in mine. I want to crawl in beside him, place my head next to his, my cheek against his bony jaw, but instead, I stay in the chair because I’m afraid I might hurt him. 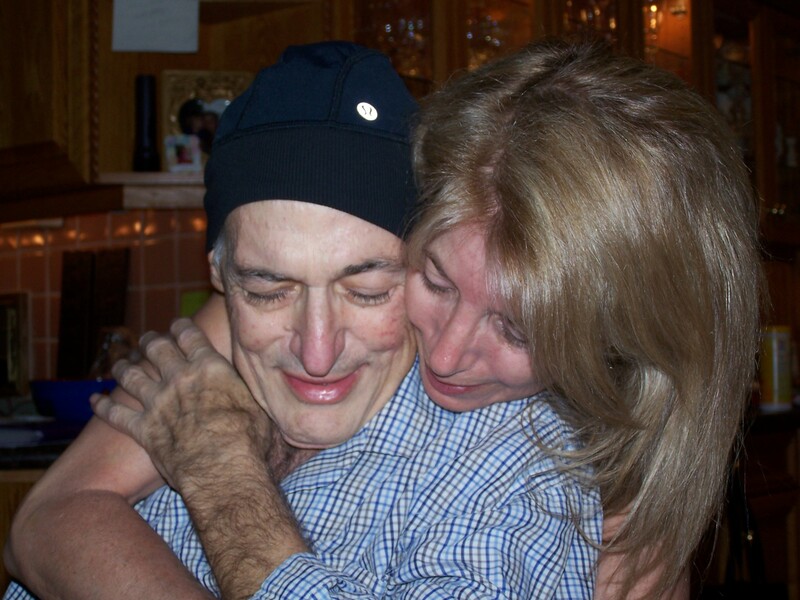 In May, his original cancer metastasized to his bones, spine, and liver. I watched him over time gradually lose his ability to walk. He became a paraplegic, needing a wheelchair to be mobile. I observed the weakening of his hands, his fingers unable to grasp the smallest objects, and his arms being besieged with shooting pains from his scapula tumors. All the while, he smiled, rarely complaining of discomfort. I now sit at the side of his bed and study his eyes; how they sit deeply in their sockets, glazed and dulled by opiates against his pale diaphoretic skin. I remember him voicing a wish three months ago to our home hospice nurse—“My hope is to be able to sleep in a bed next to my wife.” That wish was never granted. My husband soon developed a sixth sense, like a blind man, understanding the dispositions of everyone who visited his bedside. He sensed the energy of the room; whether people were upset, emotionally unable to deal with the situation, or if they just needed to talk to him one last time. When I walk into room five, he always gives me a smile and winks his right eye and then his left eye. He then closes both eyes and goes back into a sleep, a trance, but beware, he listens to every word that is said. His medicine, methadone and oxycodone make him drunk. For months, he sings to me at night: I love you, a bushel and a peck, a bushel and a peck and a hug around the neck. Even I don’t know all the lyrics to this old song. I wonder why he remembers it and sings it to me now, when he is dying a slow death, when he is numbed with drugs every couple of hours, when he knows the battle won’t last forever. I glance at his bedside table and see a business card from Jesse, the ambulance driver who brought him to hospice. “LifeStar Ambulette, laidback transport, patient express” with the name Jesse printed on the bottom. I imagine my husband thanking Jesse for the smooth ride over and asking him for his business card, just in case he returns home. Michael Sherwin Ratner, my beloved husband, died peacefully at 2:00 p.m. on November 16, 2010 at the Coronado House Hospice.